Got to Flowing lake and started fishing about 12:45pm. Started off using a brown trout Elgin Fishing God's Tooth spoon. I flatlined with no weight with about a 30' setback. Noticed the fish were in the top 5' of the water column. 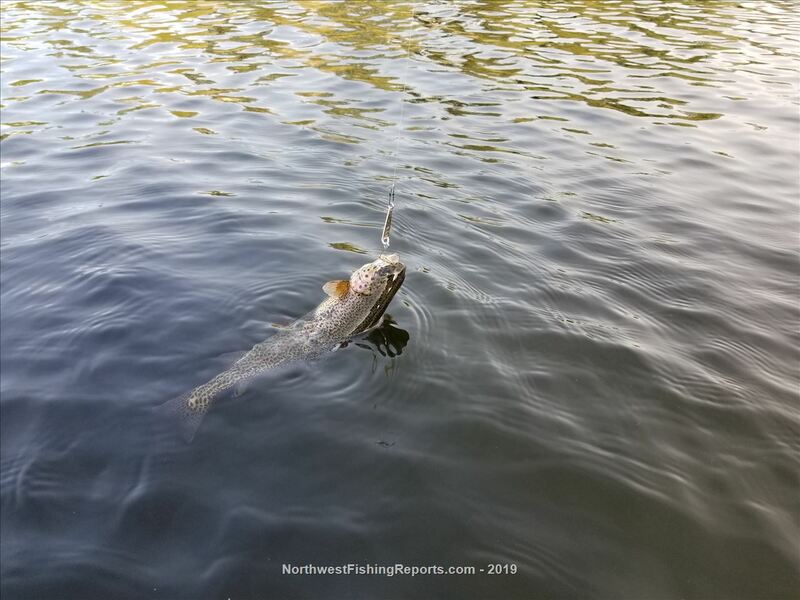 After catching about 15 fish or so, I began trying other God's Tooth patterns which included the red/white stripe, hammered copper, yellow trout, frog, rainbow trout, and pending firetiger. All the patterns were very successful. Also field tested some prototypes which did very well also. Finished at 5:15pm and God blessed with 51 fish and probably lost another 10. All fished released to fight another day. 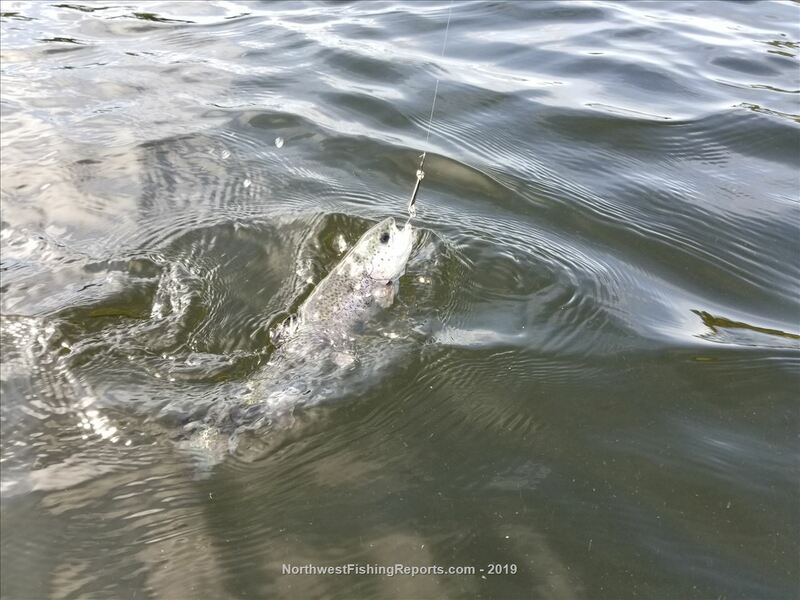 The video below shows most of the action for the day and wishing all tight lines! The Elgin Fishing God's Tooth lure has reversible, dual action that cause erratic and varied movements leading to more fish strikes! 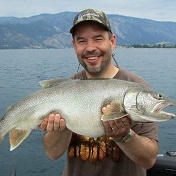 Great on trout, kokanee, and more! 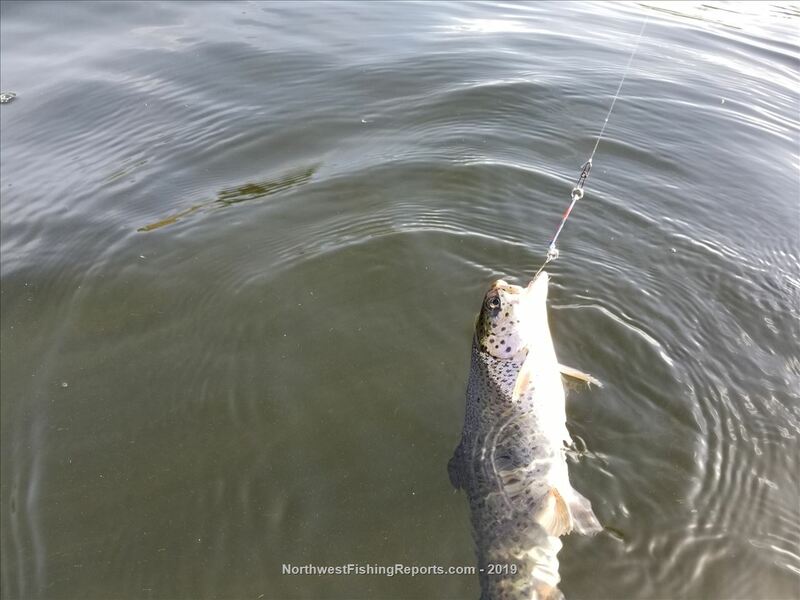 View other reports from ElginFishing. Very cool! I looking forward to using the new spoons. For leader do you use 4 lb mono or fluorocarbon line? Thanks Ben! I use fluorocarbon. Thanks Josh! Definitely an awesome and blessed day!!! Give the guy a break, do you think your the only that has any common sense. Thanks Elgin, Great day on the water.